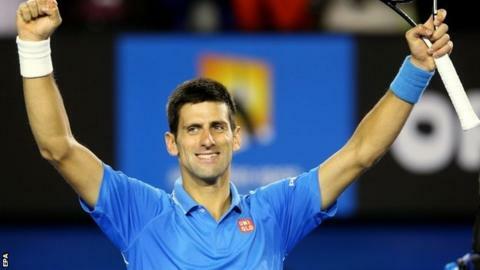 "I take a lot of confidence," sad Djokovic. "I try to carry that in every next match, next challenge. Obviously I'm going to play Stan, who is the defending champion here. "We played five-set matches in 2013 and 2014 Australian Open. I'm going to be ready for a fight. But knowing that I have raised the level of performance tonight, and probably playing the best match of the tournament so far is affecting my confidence in a positive way. "Hopefully I can carry that into next one." Djokovic's return proved too much to handle, however, and while lacking the Canadian's service speed, the Serb moved into the last four having been broken just once in the tournament. "He just didn't allow me to organise my game. Even when he was returning well, by the end of the match he was doing a good job of playing deep and never allowing me to go forward," said Raonic. "Obviously if you watch the footage, he was pretty much on the baseline the whole time and I was further back."